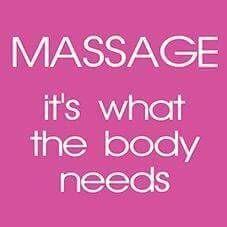 As a licensed massage therapist I see Massage as an art. It takes time to be skilled in the art of massage. A great massage comes from a massage therapist who has the knowledge, the creativity and mastered the skills! An AMAZING massage therapist is created over years in the field. A good Massage Therapist wants to have the dedication to be motivated and dedicated in the healing arts. Not ALL massage therapists are created equal.